I've changed my Webserver and copied all the joomla files over to the new Webserver. There Ive created the needed Database and changed the configuration.php file appropriately. Since then everything is working except creating a new book. Once I want to create a new Book over Components-->Book Library-->Books-->New I get the following warning: "You have to specify a category before you create a book." But I dont remember choosing a category before even creating the book. I used to create the book and afterwards choose the category. If you guys need the output of my html.php file I surely can do that. I'd be thankful for some help! Actually I have a ton of categories. Look at the pic categories.png. After that check: can you add book or not ? 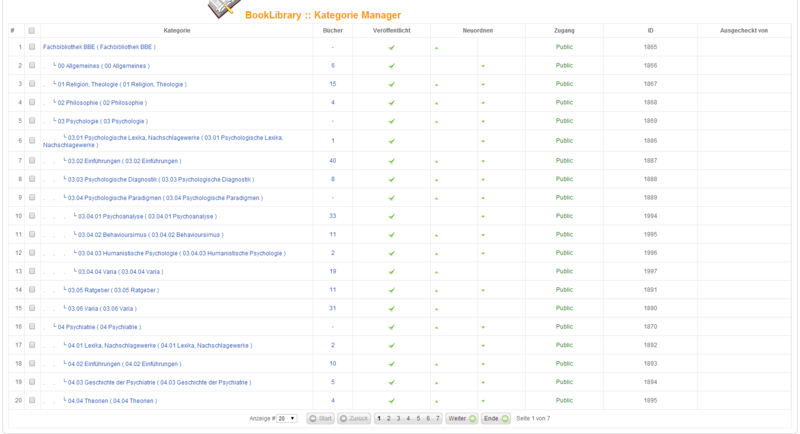 I've now created 3 Test categories and then tried to create a book but it still doesnt work. There is no difference between the categories I just created and the one which already existed with changing the webserver. I dont get it. . .